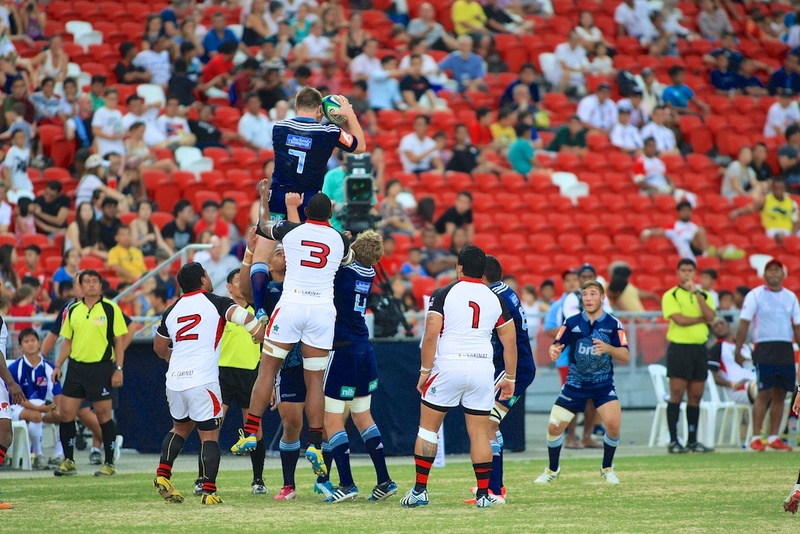 The newly renovated National Stadium in Singapore, a modern and beautiful state of the art sports stadium, recently hosted the World Club Rugby 10s Singapore tournament on 21st and 22nd June 2014. 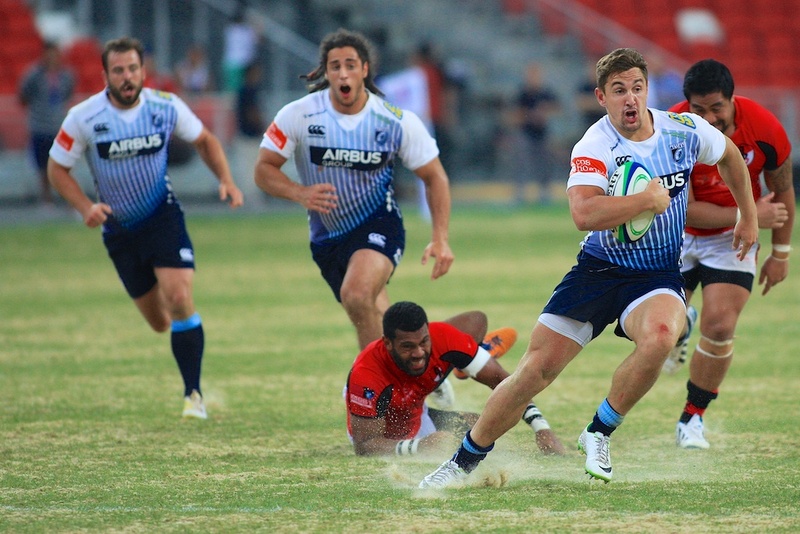 The Rugby 10s game is a mixed/balance between the Rugby Union 15 players code and the Rugby 7s code and it was my first time watching Rugby 10s in action! I went on the 2nd day of the World Club Rugby 10s Singapore, the experience shooting from the sidelines was simply awesome and breathtaking! Nothing beats being up close and personal to the high adrenaline action on the field! The rules are similar to the 15 players code, therefore, I was able to relate and understand most of the Rugby 10s action on the field! Being a sports photographer on the sidelines of the new National Stadium was a dream come true, shooting from the sidelines inside this magnificent sports stadium! Not only was the rugby 10s action exciting, the view from the ground level of the National Stadium was really cool and awesome! It was a dream fulfilled to feel how a sports photojournalist felt like in a world class sports stadium and I am looking forward to more sports photography inside the National Stadium in the future! I am very grateful to the social media folks of MCCY – Ministry of Culture, Community and Youth for the kind and wonderful arrangement to visit the World Club Rugby 10s Singapore 2014!